Industrial organization of ferrous hot roll steel in the world is the area of economics in steel industry that formulates on the premise of the firms operating in the upstream and thus a proper examination of the structure of hot rolled industry can be done by analyzing peripheries lying between firms and markets. Ferrous Hot roll Steel industry’s performance relies on the conduct of its firms, which then relies on the structure i.e. features that resolve the competition of the market. The structure of a ferrous hot roll steel industry then relies on fundamental circumstances, for example hot rolling technology and requirement for a hot roll coils or hot roll bars.For instance: in a hot rolled steel industry, a sophisticated rolling technology that minimizes the expenditure of production when production augments, obviously leads to have a small number of firms. 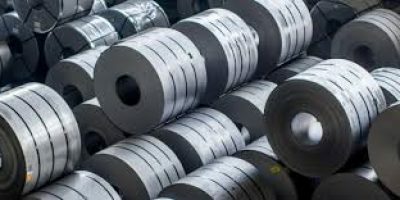 As it is already known that hot roll steel is in high demand all over the world and even the country’s growth is measured in terms of its production of steel, therefore components in this hot roll industry including the user demand, production, rate of growth, is always showing a positive trend. As per elasticity of demand, the hot roll ferrous metal industry in the world is quite stable. Economies of scale, is one of the important reason for success of a firm in hot roll steel industry, the larger giants share more market. Raw materials are also one of the important factors in this industry. Steel billets are the major raw material along with other supporting raw materials. Mostly successful hot roll firms have their own production of steel billets, in order to avoid production delays and transportation costs. William, Robert. Hot Rolling of Steel. CRC Press, 1983.